The month-long Amar Ekushey Grantha Mela, which brought together a diverse mix of the country’s well-known writers, as well as up-and-coming authors, thinkers, and entertainers on one stage, comes to an end today following extension of two-days. Prothoma Prakashani, Journeyman Books and Chandrabati Academy jointly won Munier Chowdhury Smriti Puraskar 2019 for publishing ‘Bidrohi Ranaklanto’, a biography of national poet Kazi Nazrul Islam, written by Golam Murshid, ‘Monorathe Shilper Pothe’ by Moinuddin Khaled and ‘Muthor Bhetor Rod’ by Maruful Islam respectively. Rokonuzzaman Khan Dadabhai Smriti Puraskar was given to Panjeree Publications Limited for publishing maximum numbers of quality books on children in 2018. Madhyama, Batighar and Panjeree Publications Ltd were conferred Qayyum Chowdhury Smriti Puraskar for aesthetic decoration of their stalls. 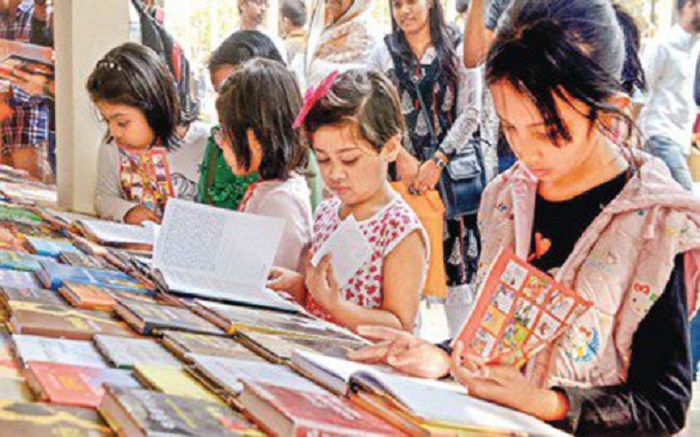 Two cultural functions were also held on Bangla Academy premises and Suhrawardy Udyan to mark the formalities to close the month-long book fair.